SAULT STE. MARIE, ON – Gateway Casinos & Entertainment Limited (Gateway) will be appointing a new Regional Director to be based in Sault Ste. Marie. The Regional Director will manage the operational performance of gaming facilities in OLG’s (Ontario Lottery and Gaming Corporation’s) North Gaming Bundle after Gateway takes over day-to-day operations, expected to take place in the coming weeks. The Regional Director will work closely with the general managers of each gaming facility in the North to ensure high-performing gaming operations in each of the host communities. Gateway is expected to sign a 20-year Casino Operating and Services Agreement (COSA) with OLG in the coming weeks, after which Gateway will be responsible for the day-to-day gaming operations of the North Gaming Bundle which includes Casino Sault Ste. Marie, Casino Thunder Bay, OLG Slots at Sudbury Downs, as well as planned new builds in North Bay and Kenora. 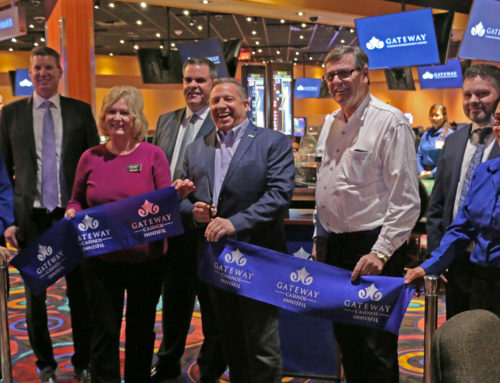 Gateway also operates the gaming facilities in the Southwest Gaming Bundle which includes Gateway Casinos in Clinton, Dresden, Hanover, London, Point Edward and Woodstock. Gateway Casinos & Entertainment Limited (“Gateway”) is the largest and most diversified gaming company in Canada. Operating in British Columbia, Edmonton and Southwestern Ontario, Gateway has over 5,200 employees and operates 23 gaming properties with 248 tables, over 8,400 slots, 54 restaurants and bars and 272 hotel rooms. As the selected service provider in Northern Ontario, Gateway will add an additional three properties and two new planned builds to the portfolio when fully transitioned and developed. 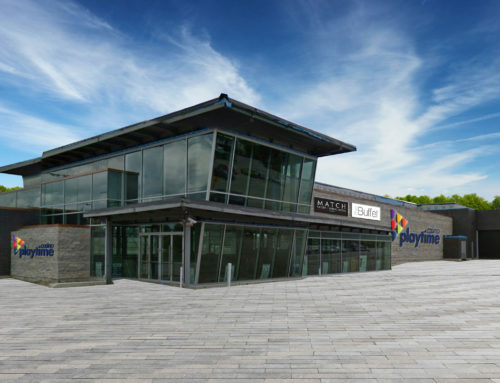 Gateway is undertaking an ambitious growth strategy to dramatically improve the customer experience and attract new customers. This includes the development of proprietary food and beverage brands like Match Eatery & Public House and Atlas Steak + Fish. This year Gateway is celebrating 25 years in the business of gaming and entertainment in Canada. Further information is available at www.gatewaycasinos.com. OLG is the Ontario government agency that delivers gaming entertainment in a socially responsible manner. OLG conducts and manages gaming facilities, the sale of province-wide lottery games, PlayOLG Internet gaming, the delivery of bingo and other electronic gaming products at Charitable Gaming Centres and is helping to build a more sustainable horse racing industry in Ontario. Since 1975, OLG has provided nearly $44 billion to the Province and the people of Ontario. These payments to the province support the operation of hospitals, amateur sport through the Quest for Gold program, local and provincial charities and problem gambling prevention, treatment and research.